In 2017, 50 percent of nonprofits reported they anticipated an increase in staff sizes, the third year in a row of healthy hiring for the nonprofit sector. While there is great demand for nonprofit employment, this line of work has particular characteristics that job seekers should keep in mind if they wish to enter the nonprofit world. This is doubly true for those job seekers who have extensive experience with corporate hiring procedures. How do nonprofit and corporate hiring differ, and how should you go about applying for a nonprofit position? Nonprofits often operate with much smaller budgets than corporations. In fact, 66 percent of nonprofits are considered “small” in size, with annual budgets of only $500,000. First and foremost, this means there aren’t going to be as many job openings in the field. Thus, you’ll have a harder time finding a nonprofit that is actively recruiting new staff. However, that doesn’t mean finding nonprofit employment is like searching for a needle in a haystack. It just means you have to look a bit harder. If there’s a particular nonprofit that interests you, check its website or look it up in local newspapers. If you do find a job posting, congratulations! You’ve conquered the first and hardest step. However, the next step is also tricky. The hiring manager at the nonprofit likely only conducts interviews as a secondary duty to their main role. 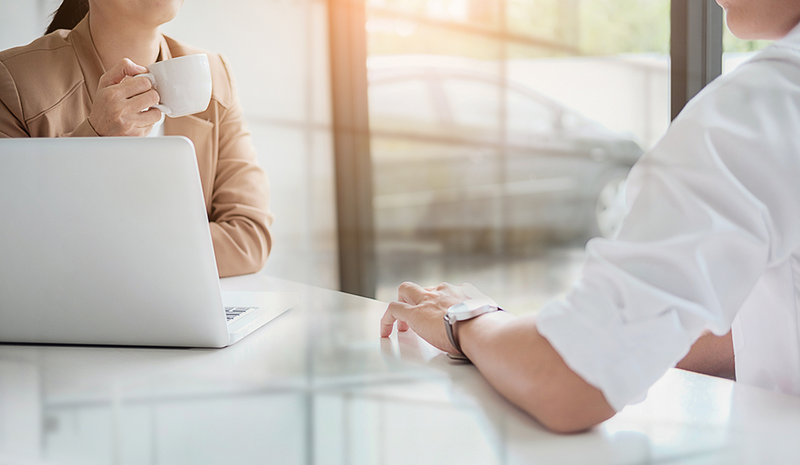 If you’ve only worked in the for-profit sector, the nonprofit hiring manager might not readily recognize the value of your skills in the nonprofit world. You’ll need to make a case on how you can apply your prior experience to your new role in a nonprofit. 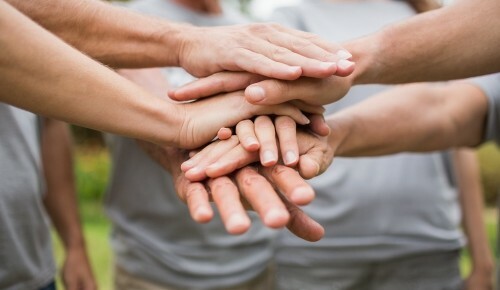 Nonprofits can be just as varied as corporations, if not more so! Ideal employee qualities like integrity, good communication skills, and work ethic are all in demand in the nonprofit world. However, nonprofit recruiters and hiring managers will also be searching for additional qualities above and beyond the typical corporate checklist. First and most obvious is passion and concern for the nonprofit’s cause. If you apply for a position at a nonprofit dedicated to fighting your city’s poverty problem but you’re only interested in the paycheck, you’re not likely to get a call back. However, if you do express your genuine desire to make a difference in your community and grow with the organization, you’re much more likely to both land the job and truly enjoy your work. Similarly, if you’re not willing to get your hands dirty or take on many different roles – often in the same day – you’re probably not going to be a great contributor to the organization. Humility and flexibility go a long way in the nonprofit sector. You’ll have to be confident enough to speak to large crowds, but also humble enough to perform the less glamorous tasks of packing boxes, making signs, and sending out letters. When the recruiter informs you of all the different tasks expected of you, respond with open-mindedness and enthusiasm. While corporations like to see variety in your work history, their hiring managers aren’t very likely to focus on your volunteer experience during an interview. Volunteering experience is not a requirement for most nonprofits, but displaying such experience on your resume will look great. It’s even better if you’ve previously volunteered at the organization to which you are applying, as this will be evidence of your dedication to the cause. Plus, with this experience, you’ll already know whether you fit in with the company culture. When tailoring your resume and cover letter to a nonprofit, emphasize the common threads between your prior volunteer work and the company’s goals and values. Highlight as well the similar functions you’ve performed, how long you spent in a volunteer position, and whether your services were focused on particular initiatives – e.g., social justice, faith-based, philanthropy, etc. Getting a nonprofit job isn’t necessarily more difficult; it just requires a slightly different approach. Look for opportunities in all the right places and prove that you’ve got the skills and experience necessary to conquer the tasks set out by this organization. If you’re the right person for the job, it’ll likely be the most rewarding employment experience in your life. Heather Lomax is a media relations specialist for SBI Association Management. Heather Lomax is a media relations specialist for SBI Association Management and a contributing writer. She writes for a variety of nonprofit blogs, discussing tactics for nonprofit recruitment success.